Brain Abundance Global Expansion leader Anthony Tort announces his partnership with Eric Caprarese and former New England Patriot Marques Brigham, to launch Brain Abundance around the globe. Brain Abundance is a cloud social networking company set to deliver a one of kind product to a world-wide market. Brain Abundance has strategic global relationships enabling delivery of Brain Fuel Plus from its five international distribution centers. Brain Abundance is in pre-launch and yet has all of the infrastructure in place with its unique cloud based communication systems, 5 international distribution centers, fully functional web systems with ordering and tracking in place. “How can we afford to payout so much more to so many more people? EASY! We are the first cloud social marketing company! That means costs are minimal when it comes to office buildings and staffing. 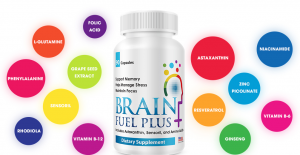 Brain Abundance will market Brain Fuel Plus, a stand alone product with 13 ingredients addressing the brain and its ability to affect every part of the body. Brain Abundance utilizes a marketing and team building system that complements its cloud social marketing strategy. Our brain is one of the most important organs in our body. You need to nourish your mind just as much as you need to nourish your body. There is an innate connection between your mind and your body. A healthy mind usually equates to a healthy body and a happier life. Use Brain Fuel Plus+ If you are not completely satisfied,return the empty bottle for a complete refund. So what is Brain Fuel Plus? IMPORTANT PRE-LAUNCH WARNING: Brain Abundance is currently in Pre-Launch. Our official launch date is January 15, 2014. During Pre-Launch, your first product order may take up to 6 weeks to arrive, and there may be some links, pages, and tools that are not yet fully functional. Please recognize this before you make a decision to join. All commissions will be paid during Pre-Launch, starting with our first weekly pay run on Wednesday November 27, 2013. 60 Day 100% Empty Bottle Guarantee! 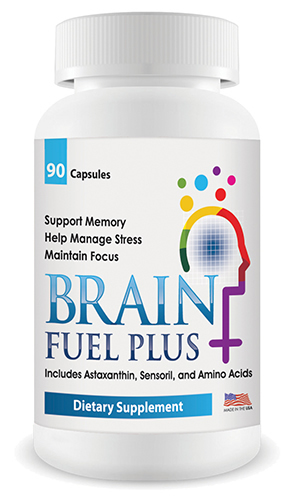 Brain Fuel Plus is Foundered by a Company called Brain Abundance. The Co_Founder and CEO is Eric J. Caparese and Dr. Pejman Behrouzi is the Chief Science Officer behind this wonderful product. Choose A Pack to Suit You. 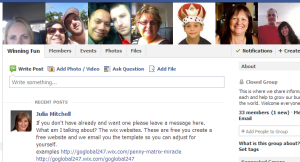 For this you get an full amazing replicated website and automatic system that will enroll people for you. All the hard work is done for you. The site includes everything you need to start a professional business with minimum fuss. What I like about the system is that you can join for free and your spot will be held for you whilst you check out the system. If you are happy with what you see then you join with a purchase of product. If you don’t wish to then the next person who is ready to join will take your spot. Not often do you get to look at the backend of a business so for this alone I am giving this business a go. 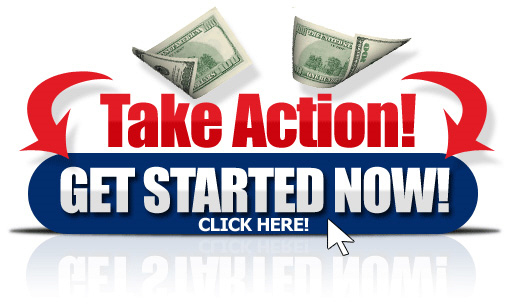 Brain Abundance compensation plan is one of the most aggressive in the industry. Powerline Bonus – One of the most powerful parts of our Powerline driven system is your ability to earn income on the first three people below who have at least 50BV in personal volume, just by locking in your position. The Powerline Bonus is paid out one time and is paid out weekly. Fast Start Commissions with Infinity Coded Overrides – For each new person you introduce to Brain Abundance, you will earn between $25 and $75 on their initial product order. PLUS, with 6 generations of Coded Overrides based on rank, you can earn up to $10.50 on the first order of everyone in your entire team. There is no limit as to how many people you can enroll or how much you can earn in Fast Start and Coded Overrides. Fast Start Commissions and Coded Overrides are paid out weekly each Wednesday for the previous week’s orders. Volume that comes in from initial orders is paid out in Fast Start Bonuses and Coded Overrides only. No volume from new member’s initial orders goes into the binary. The industry’s FIRST and ONLY Accelerated Binary Compensation Plan, this very aggressive version of one of the most popular compensation plans in the industry combining a super high payout with the easiest qualifiers anywhere. As exciting as the PowerStart Bonuses and Coded Overrides are that are paid out on all member’s first month’s order, starting the second month, the Accelerated Binary kicks in which is even BIGGER. Once you do that, you are qualified for life to earn commissions each month! From that point forward, you will earn a commission check of $20 each time there is just 50 BV (1 order) on your left leg and 50 BV (1 order) on your right leg…regardless of who enrolled them! Each time you have another 50BV on each leg, YOU get another $20! New members in your teams can be placed by any of your Team Members below you, or by any team members ABOVE you in the Binary. This is called spillover and it happens FAST. All new members count equally and globally to unlimited depth…and with our state-of-the-art Powerline system, you may ALREADY have members signed up under you RIGHT NOW! In the event that there is unused volume, (Example: You had 200 people in your left leg and 160 in your right, and earned 160x$20 = $3200, there are still 40 people in your left leg that you didn’t get paid on yet), ALL of that volume will carry over to be used next month – No Flushing! When you lock in your position in Brain Abundance, you are given your own business center which will track all members in your team. Your business center has two teams: a Left Team and a Right Team. You will earn a commission check of $20 each time there is just 50 BV (1 order) on your left leg and 50 BV (1 order) on your right leg…regardless of who enrolled them! Each time you have another 50BV on each leg, YOU get another $20! All Business Volume (BV) of each individual after their initial order goes into the Accelerated Binary. Volume that is paid out in Fast Start Commissions and Coded Overrides does not also get paid out in Accelerated Binary commissions. Accelerated Binary Commissions are paid out the first week of each month for the previous month’s volume. The Most Complete Brain Nutrition Product on the planet. Such a needed product, especially in this fast paced world we live in, and a product that people will benefit from. #1 Lab Certified brain supplement scientifically engineered to quickly increase your memory and support focus. 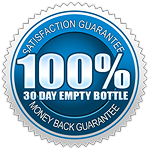 100% 60 Day Empty Bottle Money Back Guarantee, just $59.95 a bottle. Top Product, Powerful Compensation Plan, Top Team. Recognized as the most beneficial anti-oxidant, the world has to offer, it is also one of the few anti-oxidants in the world that have been clinically proven to get through the Blood Brain Barrier to help keep your neurotransmitters and receptors clean and your brain healthy and nourished. This wonder-ingredient has many other powerful benefits in your body even outside of your brain. In fact, it’s been proven to help prevent cataracts in your eyes, help with heart health, help improve athletic performance, and even protect you from UV-radiation! An essential amino acid (a building block for proteins in the body), meaning the body needs it for health, but cannot make it itself…which means you have to get it from food. Unfortunately many people don’t get enough of it in their diet. This powerful amino acid has been clinically studied as a therapy for depression, Parkinson’s disease and more. In fact people have reported that their mood improved when they took phenylalanine! This is one of the best-kept secrets to the Brain Fuel PLUS formula. Sensoril is a multi-functional, highly effective, highly documented ingredient proven to help reduce emotional and mental stress; promote a positive, calm, relaxed state of mind; promote a more restful and better sleep; enhance focus and mental stamina and even promote mental clarity and concentration. In fact, scientific research has shown that a major cause of overeating and weight gain in women is the increased levels of cortisol associated with stress. This stress often causes cravings and overeating of carbohydrates and fats. Even though over consumption of these foods is unhealthy, it temporarily increases release of serotonin, which makes people feel good. Sensoril helps provide resistance to food cravings, snacking, and over eating to not only help with stress, sleep, and improved mood, but can also be effective to help with weight management! Sensoril is a true all-star of an ingredient! Serotonin activity in your brain helps to improve and stabilize your mood. Dopamine activity in your brain helps to make you feel more confident, positive, and motivated. So what do these have to do with Rhodiola Rosea? Rhodiola Rosea has a very unique and powerful ability to inhibit these neurotransmitters from metabolizing, meaning they remain in your brain longer and in higher concentrations helping to keep you happier, less stressed, and more confident. Perhaps the best fitting ingredient in our product’s name, L-Glutamine is the only compound besides blood sugar that can both cross the blood brain barrier AND be used by the brain for energy, which is why it is commonly called “brain fuel.” In fact L-Glutamine is involved in more metabolic processes than any other amino acid in the entire body. Another heavily clinically studied ingredient, the benefits of grape seed extract are vast and powerful. Another one of the few antioxidants that can penetrate the blood brain barrier. Other ingredients – Folic Acid, B6, B12, Ginseng, and Zinc. Become a FREE Customer today and enjoy the benefits of our CHA-CHING Booking Engine where you’ll find instant access to the world! Book air, hotels, car rentals, and cruises and enjoy last minute weekend getaways through our portal to the world. As a FREE Customer, you can receive commissions and “cash back” on travel booked by you and your friends through your own booking engine. Or…take the plunge, spend 25 bucks and become a MyFunLIFE Member with ALL ACCESS to our CHA-CHING Booking Engine, FunTRIPS and FunCONDOS packages, as well as a full unrestricted back office with business building tools, videos, contact management, matrix tracking, and more. 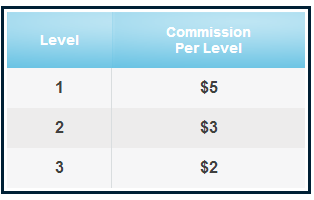 ALSO, as a Member you can earn commissions up to 3 levels of pay in our Forced Matrix without sponsoring anyone! However, if you choose to share the MyFunLIFE Membership program with others, you’ll have the potential to earn commissions on up to 10 levels of monthly Membership purchases in our revolutionary 3×10 Forced Matrix Compensation Plan. Plus… you can also qualify for up to 50% Check Matching and weekly Coded Bonuses! So whether you are just looking to save money on travel, generate a small part time supplemental income through travel commissions, or if want to generate a full time, serious income… MyFunLIFE can help you do it! I have spent a few thousand dollars and a lot of time and energy over the last 6 months or more looking and trying programs, meeting people and learning a lot along the way. This is what I am currently doing and what is working for me as of November 2013. Team Tsunami is the banner of the team that I am in. They are all good people and all have different ideas and bits and pieces to add as do myself. I am friends with them all and have their respect as I respect them. The concept is working as such with Penny Matrix number 1 $7.00 a month, I’m making around $60 a month after a couple of months. The programs themselves are product ebook and is a platform that you can work with and move from. So in the line we are in we can purchase paid signups. Tracy Davidson is setting up a recruitment agency in the Philippines. His vision is to help them get out of poverty at the same time help others earn an income. http://pennymatrix.com/goglobal247 This is taking longer than he thought but the greater vision of what it can be is worth waiting for. He plans after this is up and running to duplicate into places like India etc where numbers are huge. The spillover that will come with the numbers who are waiting will be big dollars. I’ve purchase a number of paid signups but also I sponsor people as well. I have a facebook group just for our team and members are all over the world. This is our hangout where we can ask questions, encourage, share ideas etc to help each of us build our business. So xplocial which is my passion as it will make the bigger dollars and it is set to change at the end of the month. Currently it is $150 a month and you earn 100% commission on people who join your business. We do have a bump up system which you may have watched already. As paid signups come in from Penny Matrix and relationships are built then it is easy to offer them this opportunity as well. Again you can purchase paid signups for these of which I have also done and are waiting. However I recommend that you don’t count on your paid signups but rather work on building relationships with people you do know first. I’ve been in Xplocial for a few months now and started off great guns then got sidetracked and now back into it again. My goal is to be earning $20,000 a month in 2014. With Ad Experts this is the 3rd program at the moment and it is one off $420 to get in and you need to get two. I have helped others find their two but have run out of people 🙂 Although if you decide to join I would place you under someone in our team as it helps it grow and move quickly. I’ve made my $400 back in one week, now made $1000 and a couple more for my $7000. Again you can purchase paid signups. So although we have the paid signups option it is best not to rely on this but rather add this to what you are doing. Other programs I’ve tried and I’m happy to share outcome. At this stage I want these to be generating sufficient funds before trying another as their will always be another opportunity. With Tracy his vision is down the track that we have so many people in our team that we will jump on new opportunities make our money and try the next.